In this informative download, Kristen explains the brief, but life changing Everyday Certainty system. You and your intentions will change as you learn how to search your soul, give comfort to yourself and others and transform your perspective in profound ways. Some relationships will go away, leaving room for others that will heal and uplift you as well as truly sustain your being. You are invited to change and embrace a new way of living! 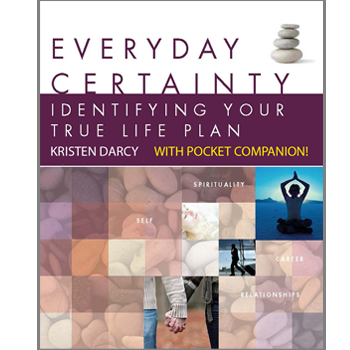 In this informative download, Kristen explains the brief, but life changing Everyday Certainty system. This system can be applied in any situation whether it be infertility, divorce or simply a change in your life.